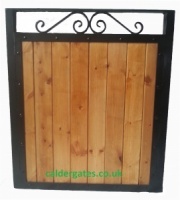 Our stunning metal framed / Knotwood aluminium infill Arched driveway gate. 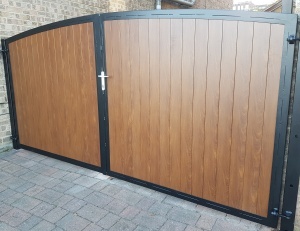 This is a great alternative to a completely wooden gate as it still gives the privacy but will not twist, sag or rot like a traditional wooden gate due to the strong metal frame and the extremely durable and maintenance free wood grain effect aluminium. 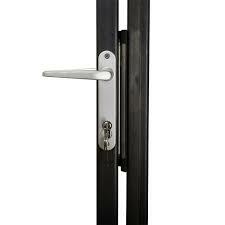 Now includes a locinox forty lock. 1 metre tall at the sides. 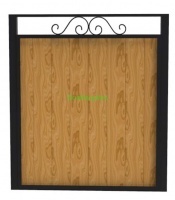 25x3mm flat bar inner frame. 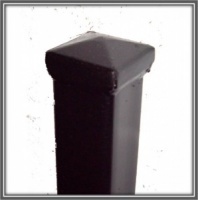 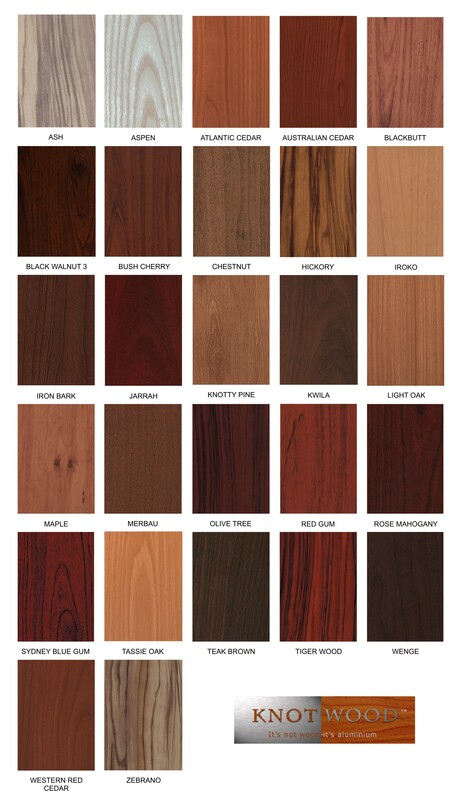 100mm wide x 19mm thick knotwood aluminium infills in a kiwila or light oak finish. 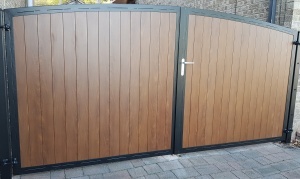 We do recomend that you do galvanise your gate so that you can enjoy our gates for many decades to come. 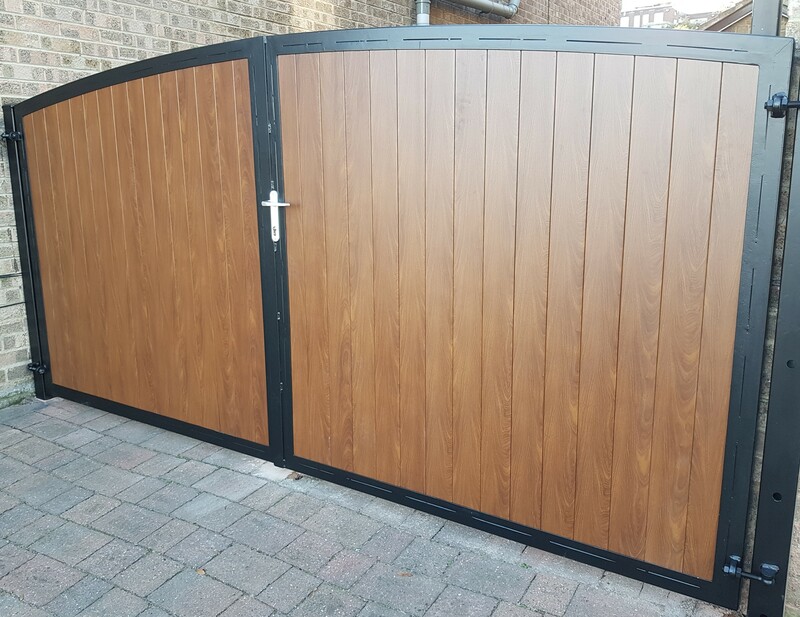 Our stunning sherwood wood infill / steel framed garden gate.